The Red River Zoo offers an assortment of food items throughout the Zoo. 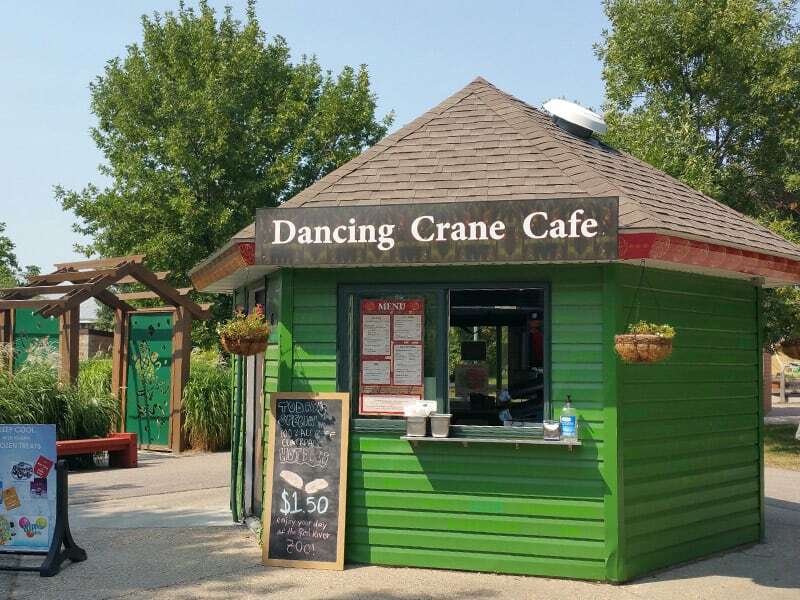 The Dancing Crane Café offers hot food and cool treats. 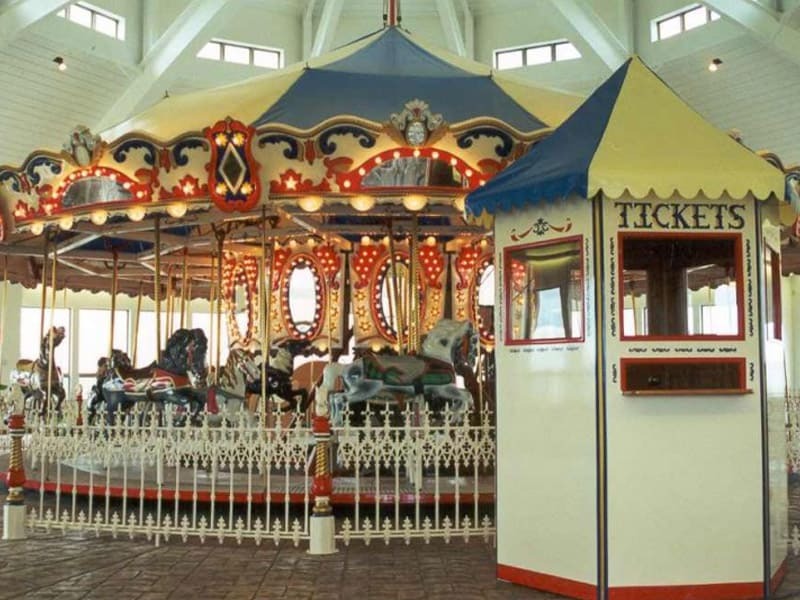 The Carousel Pavilion features fresh popped popcorn, Dippin’ Dots ice cream, fresh cotton candy, and more. We offer healthy vending options in our new Children’s Zoo Farm. Open for the season April 22. Open weekends through early May. Accepts all major credit/debit cards, NFC contactless payments, and cash. Open Daily during normal Zoo hours. The Red River Zoo offers an assortment of vending options throughout the Zoo. Snacks and beverages are available in the admissions building, carousel pavilion, Dancing Crane Café, and Children’s Zoo Farm. 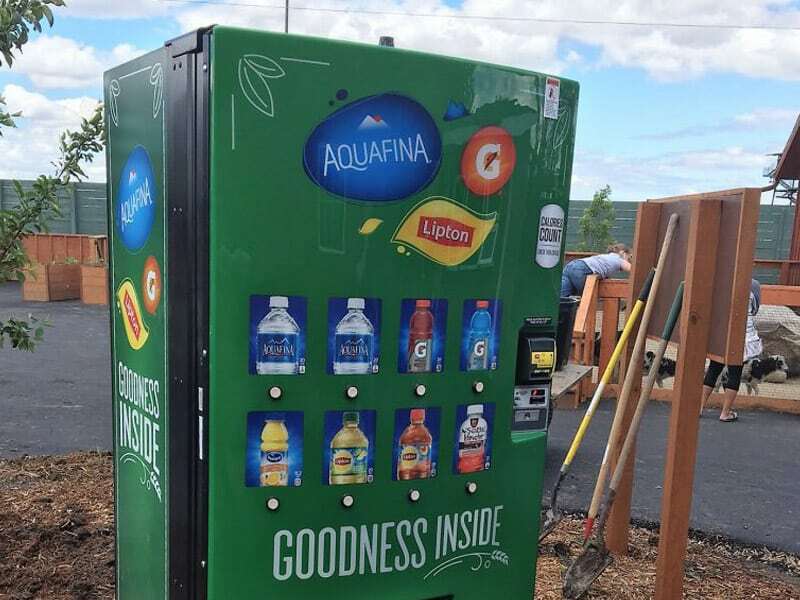 We’re excited to offer healthy vending options in the new Children’s Zoo Farm. These healthy vending machines accept cash or credit card, including Apple Pay.